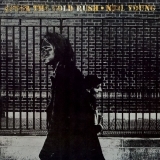 "Haven't had a dream in a long time"
After The Gold Rush (this album) (1970). Sorry, no matches on eBay for "Oh, Lonesome Me Neil Young". Showing latest 5 ratings for this track. | Show all 222 ratings for this track.